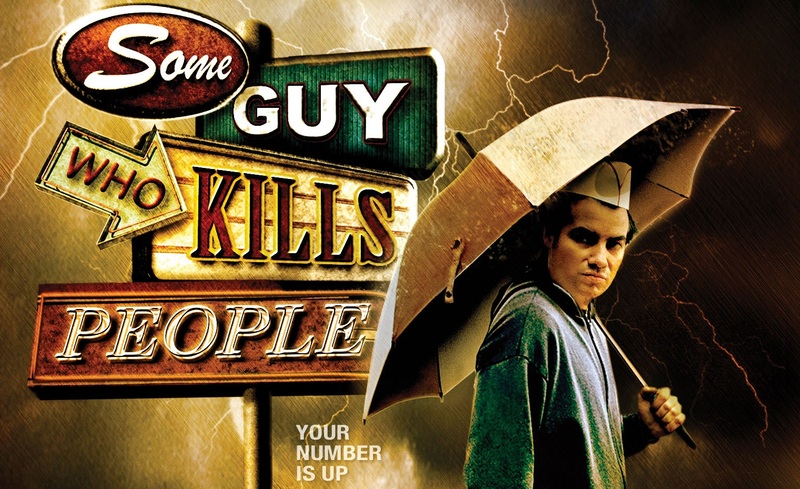 Some Guy Who Kills People – Written by Ryan Levin, Directed by Jack Perez and starring Kevin Corrigan, Lucy Davis, Karen Black, Barry Bostwick, Leo Fitzpatrick and Ariel Gade. This was another of the movies I got to watch thanks to my time on the jury for The Bloody Hero International Film Festival in Phoenix, AZ. I wasn’t sure what to expect with this movie. Sure, I loved the cast but that doesn’t always make for a good movie. Thankfully the script and direction were both just as solid. The story is about a man who was the type of guy that was picked on all through high school. It had gotten so bad that he attempted suicide and got locked up in a mental institution. Years later he’s out and working at an ice cream parlor and living with his mom. Soon, we discover that the all the people who picked on him in high school are turning up dead. And, to top it off, he has a woman who’s interested in him and starts to form a relationship with his daughter that his ex never let him know. It must be difficult to juggle a relationship with a woman, family, work and murder. But Corrigan does an expert job of creating a character you root for throughout the movie. You consistantly hope throughout that he is not actually the killer. The rest of the cast is amazing. I absolutely loved Barry Bostwick and Karen Black. Not only did they both do an amazing job in their solo scenes but they were amazing together. There is a scene toward the end of the film where they’re sitting at the dining table together talking that is among my favorites from this little gem of a film. Leo Fitzpatrick and Lucy Davis were also absolutely perfect in their roles in the film. They brought a certain heart to a movie you’d expect to just be a goofy horror comedy. But the real star of this film is Ariel Gade as Corrigan’s daughter. For such a young girl she has a crazy amount of talent. Her performance was blended with sarcastic humor, genuine sadness and a certain joy that even seasoned actors couldn’t pull off. She was a true find. We awarded her Best Supporting Actress at The Bloody Hero International Film Festival because she was better than the rest by a mile. The movie itself was a bit predictable but I don’t say that as a fault to the film. This is one of those movies where it’s not about the twist, it’s about the journey getting there that really makes you love it. The script was smart and funny. The directing was solid and his decision to use only practical effects really worked for the film. It’s no wonder John Landis agreed to Executive Produce this film. This movie deserves 4 and 1/2 stars. It’s a smart, well crafted horror comedy that any fan of the genre will love.